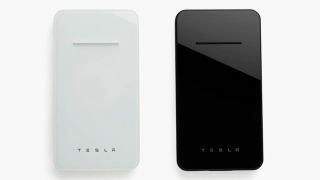 Tesla is apparently set to launch a Qi-powered wireless charger to juice up your smartphone, as the product appeared on the firm’s website, although it has since been removed. Not before the details of the product listing and images were captured by 9 to 5 Mac, mind you, and it’ll likely come as no surprise that this won’t be the cheapest wireless charging accessory in the world, with the price set at $65 (about £50, AU$90). For that outlay, the Tesla Wireless Charger gives you an inductive charging pad with a 6000mAh battery and a 5W output when wirelessly charging. You can hook it up to your Qi compatible phone, or go for a wired connection with either the built-in USB-C cable, or use the USB-A port with your own charging cable if your device doesn’t support Type-C. The peripheral comes in either black or white, and it looks pretty nifty, but you pay for those premium aesthetics with the aforementioned $65 (about £50, AU$90) price tag. Certainly looking at rival products, you can get a wireless charger with a bigger battery capacity for less money (and you can purchase bargain basement chargers for much less).